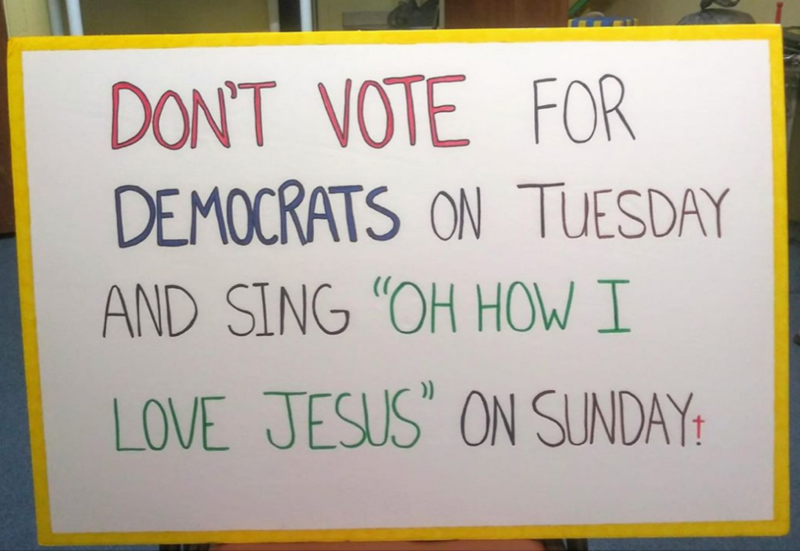 The Freedom From Religion Foundation is raising the alarm over a Florida church’s blatant electioneering yesterday. Carlisle was upfront about his political motivations. IRS regulations specify that 501(c)(3) organizations, which include churches and other religious organizations, are prohibited from “[participating in or intervening in] … any political campaign on behalf of (or in opposition to) any candidate for public office,” FFRF reminds the Internal Revenue Service. FFRF is asking the IRS to commence an immediate investigation of the Grace of God Church and take appropriate action to remedy any violations of 501(c)(3) regulations. The state/church watchdog is also commending Pasco County election officials for announcing that they will look for an alternative polling place to the church the next time around. The Freedom From Religion Foundation is a nationwide nonprofit with more than 32,000 members which works to protect the constitutional separation of church and state and to educate the public on matters related to nontheism.